Did you know? Running with foot pain puts you at serious risk of injury. As a runner you value your health and the last thing you want is to suffer a lengthy injury that stops you from running, or delays your training. When it comes to sports, general exercise, and fitness for that matter an athlete’s feet are two of their most valuable assets as without them, many of the sports and games they participate in would simply not be possible. Should you be assessed by a Sports Podiatrist? There are a number of reasons why you may need to be assessed by a sports podiatrist, and not all of them have to involve injury or pain either. 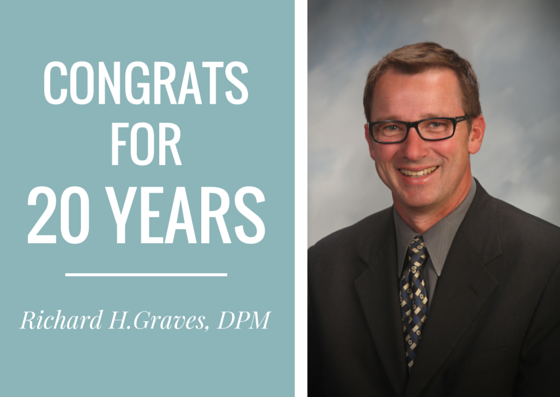 Get the individualized treatment you need from sports podiatrist, Richard H. Graves, DPM. Our caring staff and experienced podiatrists are committed to providing you with the best in foot and ankle treatment, care and education. Contact a representative today. 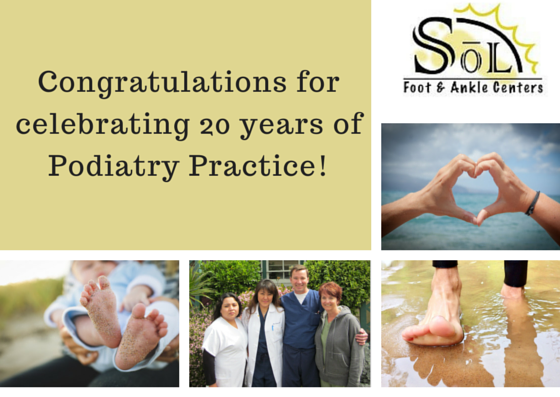 Schedule your appointment by calling Sol Foot & Ankle Centers at (562) 433-0478. Is your foot pain stopping you from reaching your running goals? 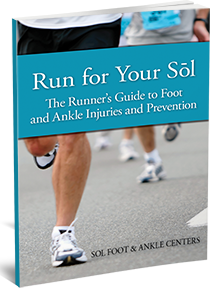 Learn how to avoid common injuries and run pain-free with this FREE Book! Order Your FREE Running Book! Find answers to your running questions from our sports medicine podiatrist and running specialist, Richard H. Graves, DPM. "This is a must read! There is a wealth of information in this book that's great not only for runners, but for anyone who is active on their feet. I have been running for over 20 years and I learned a lot about my feet! " Dr. Graves is helping to heal my plantar fasciitis, and recurring lower calf issues. He even noticed and treated a plantar wart during my visit. Todd R.